Canterbury is about to remove the shackles of having a prison within the city after the Ministry of Justice put the city jail on the open market as a development opportunity. 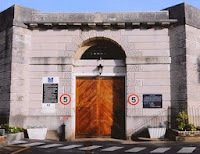 Her Majesty’s Prison Canterbury is a 1.99 hectare (4.92 acre) site in the centre of one of the country’s most historic cities, and is being marketed as suitable for a range of uses including residential, employment, leisure, care, education – in fact almost anything apart from a jail. Considered surplus to operational requirements by the Ministry of Justice, HMP Canterbury provides a rare opportunity for a premium development in an exceptional location – subject to the necessary consents. Offers are invited for the freehold vacant possession development opportunity on an unconditional or conditional basis with preference towards an unconditional sale. The prison site is being marketed by Jones Lang Lasalle and the point of contact is William Chambers.